These high-quality generic replacement heads are designed to work with the following models: We recommend you replace these heads every six weeks for optimal performance and plaque removal. 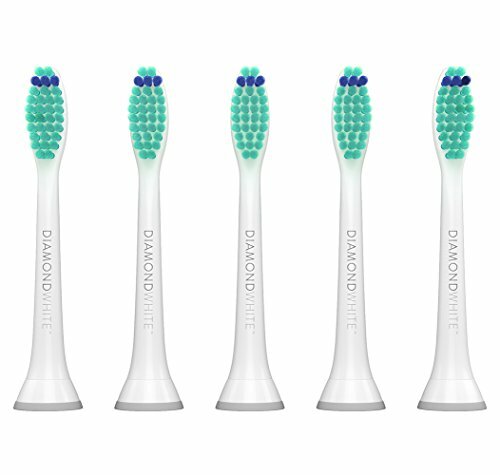 This is a high quality generic alternative to compatible with Philips replacement toothbrush heads. DiamondWhite is not affiliated with Koninklijke Philips NV. All models mentioned here are trademarks or registered trademarks of their respective holders including Koninklijke Philips NV. Please consult with your dental professional should you have any questions regarding the use of this product or its suitability for your specific needs. If you have any questions about this product by DiamondWhite, contact us by completing and submitting the form below. If you are looking for a specif part number, please include it with your message.